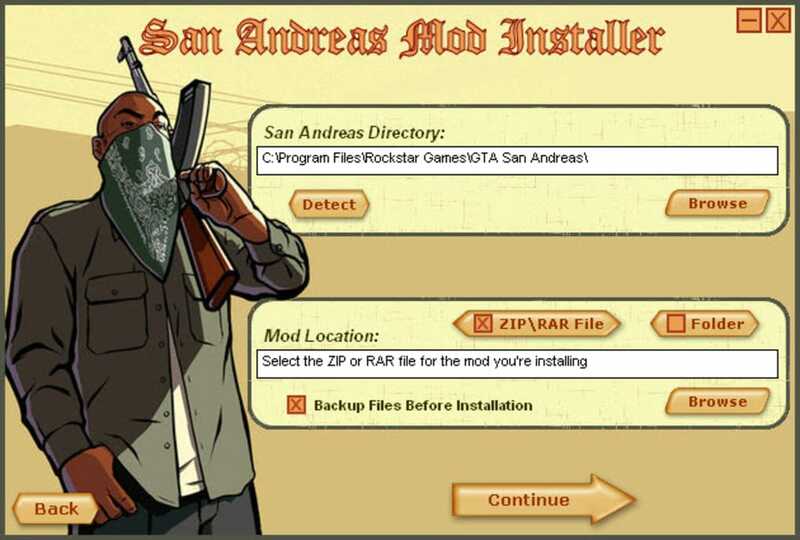 San Andreas Mod Installer makes the installation of game mods for Grand Theft Auto: San Andreas a lot easier, expanding the possibilities of this game even after you finish it. 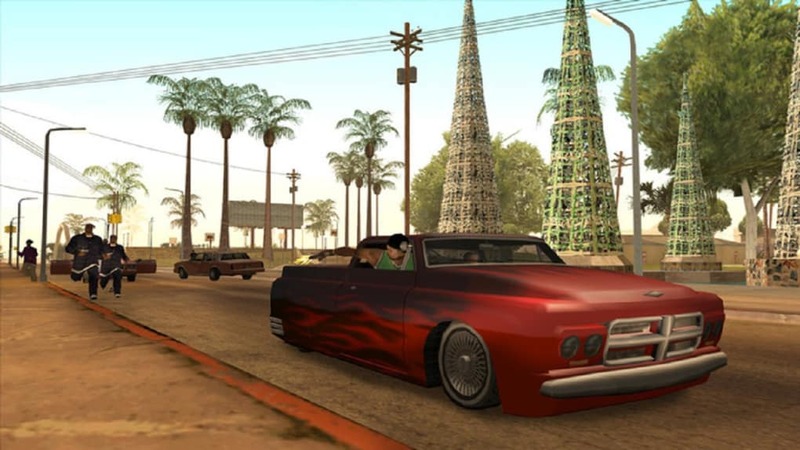 If you’re tired of playing the same missions over and over and would like to spice up GTA: San Andreas with extra cars, new maps, custom missions and other original modifications, San Andreas Mod Installer is a simple tool that helps you install mods for this awesome Rockstar sandbox adventure. 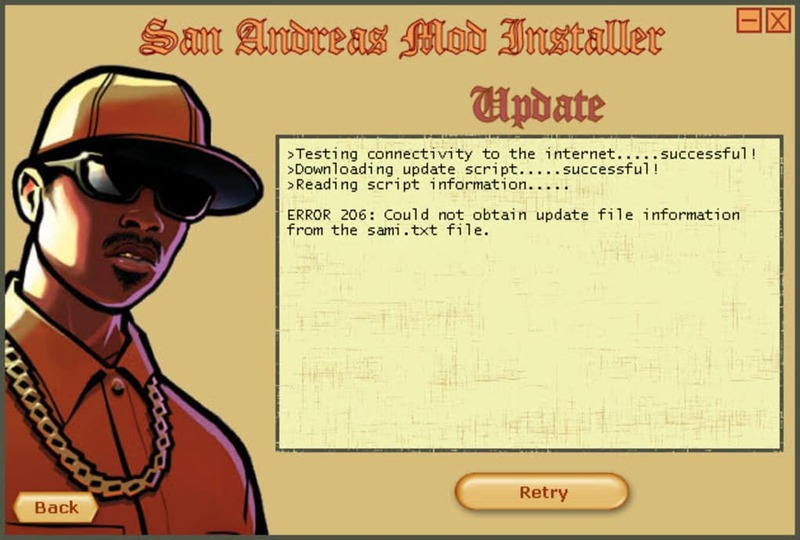 San Andreas Mod Installer will guide you through the whole process, from locating the elements you want to upgrade in the game’s installation folder to replacing them with the correspondent mod files – which, of course, you have to download separately. 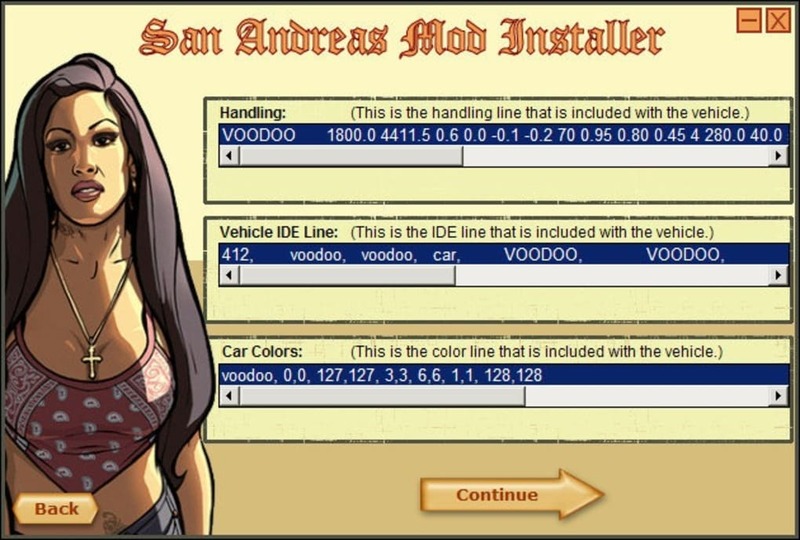 San Andreas Mod Installer also includes extended information about each mod you're about to install. 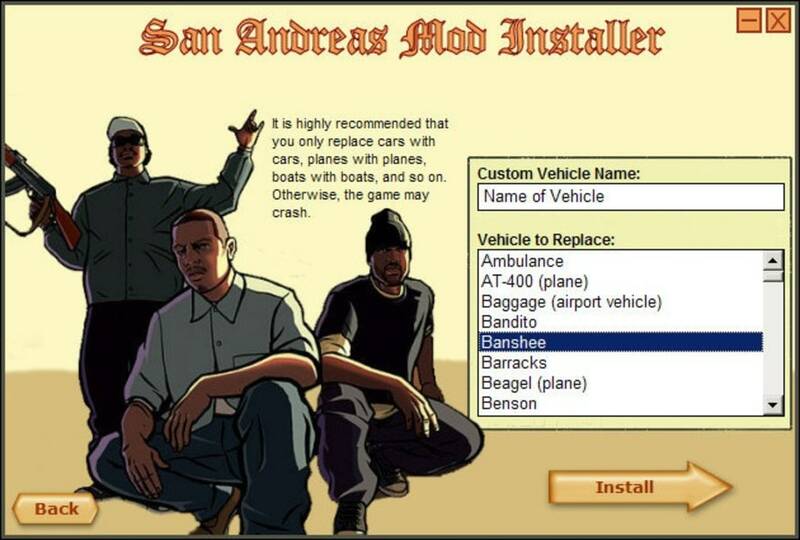 The only downside is that it only works with San Andreas and not other GTA titles! With San Andreas Mod Installer, you can breathe new life into Grand Theft Auto: San Andreas. it is the world's best game . it is so cool and i love this game.when i have my pc i see this game in it . when i played this game i leave all the games of my pc and play this game. only works for vehicles mod. it does not install building mods,only dff and txd of vehicle can be replaced and it is pretty good for installing vehicle mods. 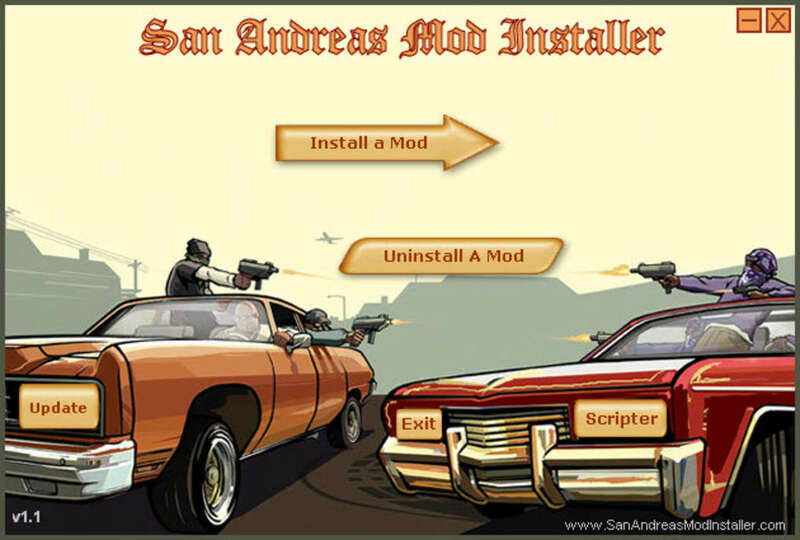 What do you think about San Andreas Mod Installer? Do you recommend it? Why?